Enforcer Field Agent Terra Vane is a human psychic who is trying to prove herself in a world where no one bats an eyelid at a vampire processing his taxes. Yep. A vampire. And that's not the only thing that resides in a dimension pocket through one of the portals cast upon Earth. Wizards, witches, fairies, and shifters of all kinds hold a citizen badge in Portiside, and Terra has the job of protecting them all from the most dangerous of criminals. 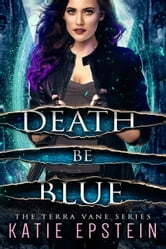 After chasing down a serial killer, Terra and her wolf shifter partner are thrown into a case of corruption involving a dangerous blue pill and a shady bunch of Ground Patrol officers. They must follow the trail to try and understand why a rogue shifter was let loose, and why someone is trying to get a dangerous drug back onto the streets that once created havoc in Portiside City. Solving cases won't be Terra's only challenge though. Not only does she have a crush on her control shifter boss who is seriously off limits—and a cute partner who knows it and truly tests her patience—but someone isn't happy that her visions are leading her too close to the truth. It's time for Terra to watch her back as she throws herself into solving the case. For she's about to learn that danger can't always be predicted. Join Terra and the gang in book one of the Terra Vane series. "Outstanding plot, outstanding character development and a nice twist on the supernatural world vs the mundane..."
"I'm in love with the main character, Terra Vane. 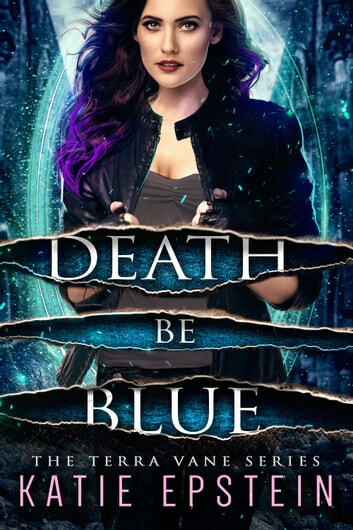 Please hurry with the 2nd book I need me some more of the kickass heroine and her friends/family. Plus what is she really?!? Cannot wait!!!!" "You are drawn into a fantasy land that is also very realistic that you could easily begin to question reality. Very descriptive writing and gripping storylines make you want to read more..."